Welcome to the ivitesse website (the "Site"). The information available on this site is subject to the following terms. Please read the terms carefully before browsing the Site. Ivitesse (herein referred to as "Ivitesse") and the individuals or entities that access this site (herein referred to as “user”, "you" or "your") agree to accept the terms of this site. The service provided by Ivitesse on the Site is "best effort" service. Whilst reasonable care has been taken to ensure that the information being displayed is correct and accurate, "Ivitesse" does not give any guarantee or representation or warranty of any kind, whether actual or implied, to the users/visitors or accept responsibility or liability of any nature whatsoever for the improper operation of the Site (including any associated software) or reliance by any person on the Site content. The information, material and the services included in or available on this Site may include inaccuracies or typographical or other errors. "Ivitesse" does not accept any responsibility for any error or omission or inaccuracy or mistake of any nature or any consequences of the use of the material/information displayed on the site. The use of the information and contents sourced from other providers is subject to the terms and conditions prescribed by such provider. Without affecting the generality of the foregoing, "Ivitesse" does not represent or warrant that the Service will be uninterrupted or error-free, that defects will be corrected, or that the Service or the server that makes it available, are free of viruses or bugs or other harmful components. "Ivitesse" does not warrant or represent that the use of the service or the information or materials made available as part of the service will result in any particular benefit or assure any gains or will not result in any loss. In no event shall "ivitesse" be liable for any direct, indirect, punitive, incidental, special, consequential damages or any other damages whatsoever including, without limitation, damages for loss of site access, data or profits, arising out of or in any way connected with the use or performance of the service or related web sites, with the delay or inability to use the service or related web sites, the provision or of failure to provide services or for any information, software, products, services and related graphics obtained through the service, or otherwise arising out of the use of the service, whether based on contract, tort, negligence, strict liability or otherwise, even if "ivitesse" has been advised of the possibility of damages. "ivitesse" shall not be responsible for unauthorised access to or alteration of your transmissions or data, any material or data sent or received or not sent or received, or any transactions entered into through the service. Some states/jurisdiction do not allow the exclusion or limitation of liability as provided in this clause. If you are based in any such state/jurisdiction, please do not use this site. This site is not to be used and is not intended to be used in any such state/jurisdiction. If you are dissatisfied with any portion of the services offered under this site, or with any of the "OTHER TERMS AND CONDITIONS OF USER", your sole and exclusive remedy is to discontinue using such service. •	This website is maintained to endeavor to provide timely, detailed and accurate information relating to the products dealt with by ivitesse and general information relevant for business. Further no responsibility or liability is accepted whatsoever with regard to material on site. RSB Group does not control the information provided by other agencies and which is made available on the Site. Remove the copyright or trade mark notice from any copies (in any form) of the Site Content made under these Terms and Conditions. Any use of the Site Content not specifically permitted above is expressly prohibited. Ivitesse will not be bound to give any permission or consent contemplated in these Terms and Conditions. All the contents and design of the Site and any material e-mailed to you or otherwise obtained by you from the use of or access to the Site (such contents, design and materials being collectively referred to as "the Site Content"), are copyright of ivitesse and/or the content providers or the licensors of ivitesse. You will not use or reproduce or allow anyone to use or reproduce any trade marks, names and logos or other trade names/logos appearing on the Site) for any reason or purpose without prior written permission from ivitesse or the concerned content provider as the case may be. You will also abide by all the terms and conditions of user which may have been prescribed by the content provider in respect of any licensed content displayed/available on the Site. The software which operates the Site is proprietary software and you may not use it except as expressly permitted under these Terms and Conditions. You may not copy, reverse engineer, decompile, disassemble, modify or otherwise deal with the software in any manner. Ivitesse may, in its sole discretion, without prior intimation, terminate or suspend your access to all or part of the Site (including any right to access and use of site content) with or without cause by delivering notice to you. This right of termination is in addition to all other rights or remedies of ivitesse provided in these Terms and Conditions or by law. Ivitesse reserves the right, at any time and from time to time, in its sole discretion, without any prior notice or intimation, to alter, change, modify, add or remove, or suspend portions of the Site Content available on the Site and/or to otherwise restrict the use and/or accessibility of the Site or the Site Content. All such amended terms shall be effective from the date of posting on the Site and any subsequent use of the Site shall be subject to and governed by the amended terms. Users are therefore advised to regularly check these terms and conditions for any amendments or updates. Without affecting the generality of the provisions of the DISCLAIMER clause, ivitesse, its affiliates and its content providers/licensors will not be liable or deemed to be in default for any delay or failure in performance or interruption of the Site Services resulting directly or indirectly from any cause or circumstance beyond its or their reasonable control, including but not limited to failure of electronic or mechanical equipment or communication lines, telephone or other interconnect problems, computer viruses, unauthorised access, theft, operator errors, severe weather, earthquakes or natural disasters, strikes or other labour problems, wars, or governmental restrictions. Ivitesse may, in its discretion, at any time and from time to time, change these Terms and Conditions (including those relating to your use of Site and/or of site content). Ivitesse may notify you by email or by publishing details of the changes by including them in these Terms and Conditions. If you use the Site after ivitesse has published or notified you of the changes, you are agreeing now to be bound by those changes. If you do not agree to be bound by those changes, you should not use the Site any further after they are published. Third Party Content and other Web Sites. Parts of the Site may contain advertising or other third party content. It is the responsibility of the Advertisers and other content providers to ensure that material or products submitted for inclusion on the Site comply with all laws, rules and regulations. Ivitesse is not responsible for any third-party content or error, omission or inaccuracy in any advertising material. The Site may contain links to other web sites. Ivitesse is not responsible for the availability of these web sites or their contents. Any dealings with third parties (including advertisers) included within the Site or participation in promotions, including the delivery of and the payment for goods and services, and any other terms, conditions, warranties or representations associated with such dealings or promotions, are solely between you and the advertiser or other third party. RSB Group shall not be responsible or liable for any part of any such dealings or promotions. As a condition of use of the Site, the user will not use the Site for any purpose that is unlawful or prohibited by these terms, conditions, and notices. 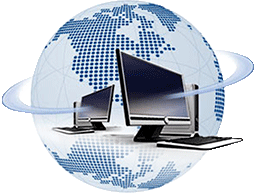 The User may not use the Site in any manner that could damage, disable, overburden, or impair the Site (or the network(s) connected to the Site) or interfere with any other party's use and enjoyment of the Site. The User may not attempt to gain unauthorized access to the Site, other accounts, computer systems or networks connected to the Site, through hacking, password mining or any other means. The User may not obtain or attempt to obtain any materials or information through any means not intentionally made available through the Site. This agreement may be assigned to a third party by ivitesse. This agreement is personal to you. Your rights and/or obligations under these Terms and conditions cannot be assigned, sub-licensed or otherwise transferred. A Notice to ivitesse must be sent at info@ivitesse.com Any Notice to you may be sent by electronic mail to the e-mail address registered by you or by a letter to the address disclosed by you in your registration form. If notice is sent by electronic mail, it will be deemed to have been received by you after 48 hours of the mail being sent, irrespective of whether or not you have retrieved the same. These Terms and Conditions shall be governed by, and construed in accordance with, Indian law. The parties irrevocably agree that the civil courts at Pune, India shall (subject to the paragraph below) have exclusive jurisdiction to deal with all matters arising out of, under, or in connection with these Terms and Conditions or the use of the Site and for those purposes irrevocably submit all disputes to the jurisdiction of the civil courts at Pune, India. Notwithstanding the above, Ivitesse shall have a right (but shall be under no obligation to do so) to bring any proceedings relating any matters arising out of, under, or in connection with these Terms and Conditions or use of the Site in the courts of the country of your residence or, the country of your principal place of business.